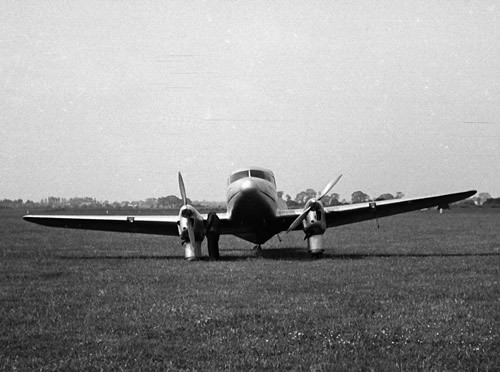 The Percival Q6 was the largest of a series of low-wing monoplanes manufactured by Percival Aircraft Ltd., all of which had enhanced the company's reputation. The Q6 seated either six or seven passengers, or could be fully equipped as freighter, or ambulance. The two gipsy engines of either 140 hp or 205 hp each, giving cruising speeds of 160-181 mph with retractable undercarriage, and 5-9 mph less with fixed undercarriage. A total of 4 Percival Q.6 were added to the inventory of the Fleet Air Arm, including one ex RAF aircraft and the others being impressed from September 1939 onwards. The first W9374 was impressed ex G-AFFE. 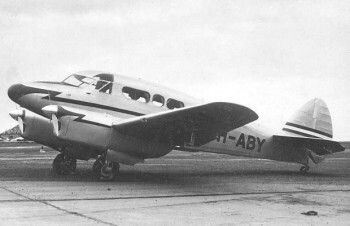 The aircraft AX860 was delivered to 860 squadron in December 1940 to 781 squadron. 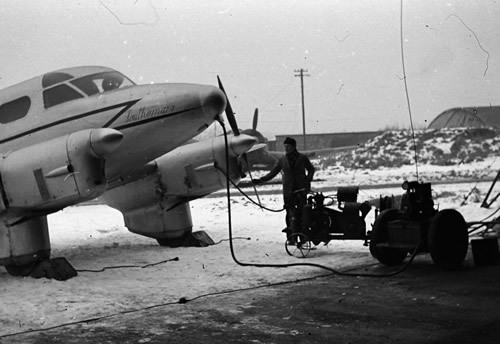 The last remained with the FAA until December 1944 (P5638). Wing Span: Length: Height: Wing Area: Wingspan:14.22m, Length: 9.83, Height: 2.97m, Wing Area 25.83 sq m.